The supernatural world in which Alexa Montgomery has found herself is on the brink of war. 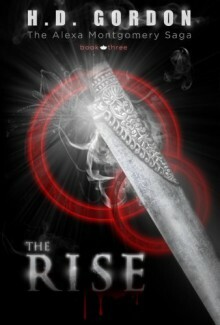 She is charged with the task of raising an army, defeating an evil dictator, and struggling to contain the bloodthirsty monster that lives within her.These are things Alexa can handle, but when the person she loves most in the world takes a turn for the worst, Alexa's loyalty and determination will be tested in the most horrifying of ways. Will she be able to rise to the challenge, or will her love for her sister kill her once and for all? That was quite an unexpected ending. But I'm glad the author went with it knowing most people might have opposite idea.